This story is personal and a bit raw. It is what I consider the biggest mistake of my career. Not sure that I call it my best mistake, but it is my worst. It is a story of pain. When I was given a writing assignment as a LinkedIn Influencer, I struggled to identify a mistake that I could call my ‘best mistake’, so here I write about my biggest mistake. Here is my story. I was young, and naïve. Even though the story unfolded 35 years ago, I remember it vividly. It has impact on me today. The story centerpiece is sexual harassment. As a young female professional, I was embarrassed to confront the issue. I was ashamed. My goal in writing this piece is to give other women the courage that I did not have. When I was 26, as a young engineer, I was asked to select equipment for the startup of a new product. This required international travel. At that time, I worked for a Fortune 500 company; and in those days, the international travel policy allowed for me to fly first class. I was impressionable, and enjoyed the fantasy of being an elite business traveler in first class. When the SAS airplane lifted off from JFK airport, I was on row 3 sitting next to a press reporter from Sweden covering the Democratic convention. In the first two rows were security guards accompanying Monet paintings, strapped into the seats, traveling back to the Louvre. The days of travel were quite different then. First class was a fantastic experience, and expensive cargo was often transported by strapping it into an airline seat. There were no flat beds, even in first class. Excited, I started a conversation with the person next to me, and we had a great talk about U.S. politics, and life in general. A bit giddy, the evening went by quickly. However, as the evening progressed, I turned out my light and rolled up in my blanket trying to catch a few moments of sleep. As I turned out the light, and rolled over, the Swiss reporter’s hands were in inappropriate places on my body. I woke up, turned on the light and pretended that nothing happened, and waited an hour before trying to go to sleep again. When it happened again, I knew that it was not a mistake. On the third time, I reported the infraction to the stewardess, but did not want to make it into an issue. I stayed up all night and hid myself in the Copenhagen airport to avoid a scene, or an unwanted encounter. I was quite scared. A couple of months later, I had a similar issue with my boss. He was a married man with four children. We were working on a project in Modesto, California, and he asked that I fly out to California a day early for a business meeting. When we connected on Sunday evening, I found that it was just the two of us. He asked if I would like to walk in Golden Gate Park. I love to walk, and thought nothing of the offer. However, when we got to the park, and he embraced me with kisses, I knew that I had misread the situation. Unwrapping his hands from inappropriate places in my body was frightening. I was never comfortable with him in a meeting again. I changed jobs abruptly and avoided him for five years. My advice? Confront the situation. In both of these cases, I did not confront the situation, leaving me vulnerable: a victim of sexual harassment. The workplace is quite different today; and it is easier, but it still takes courage. When harassment happens, have the courage to take action. Because I did not confront the issue, I struggled with my own femininity in the workplace. I created a more masculine persona to try to fit into a man’s world. It is hard to deny yourself. Right is right, and wrong is wrong. Sexual harassment eats at your soul. My advice? Summon the courage to confront bad situations. 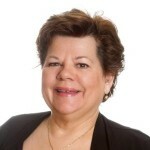 Lora Cecere is the Chief Executive Officer of Supply Chain Insights. Her career includes Vice President roles with AMR Research, Descartes Systems Group and JDA Software Group. Lora has written two books published by Wiley, “Supply Chain Metrics That Matter” and “Bricks Matter”, and she actively blogs for Forbes. Ms. Cecere has an MBA (The University of Pennsylvania) and a Doctorate in Business Administration (Temple). Follow her on Twitter. Previous Is it Time for an Advisory Board?